We recently stayed in a Hampton Inn in Cookeville Tennessee. This particular Hampton Inn has installed an Evolve system which controls all the lights in the room. All you have to do is place your key card in a switch. It is just inside the entrance to the room to turn on the lights, the TV and air conditioning. When you leave , You take your key card with you and when you remove it from the light switch it automatically turns off all the lights, the TV and the air condition system. This is an excellent energy-saving maneuver by the Hampton Inn to reduce the cost of electricity and other charges. They are able to immediately reduce their electricity charges and reduce their cost. Customers of the hotel can of course circumvent the system by asking for an extra key and leave it in this switch, while they are out for dinner etc. However overall this approach will save money for the hotel chain and keep hotel rates as well lower for customers. The money they save on energy use should more than pay for installing this system. This might be something interesting for homes to also use however it may require rewiring your house or installing special switches that connect to all of your lights and other devices in your home. There is a cost to all of these things and although you are saving energy, the question is whether you will save enough to cover the cost of the equipment. Many consumers will be able to save sufficient money simply by converting to LED bulbs vs using the older traditional incandescent lights. 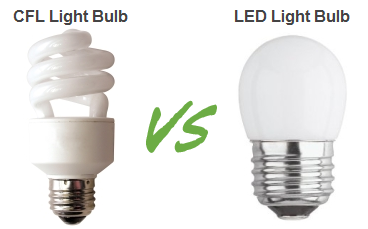 LED bulbs, although they cost much more, will last for many years and use much less electricity at the same time. As a home owner I would invest in LED lights first to gain the maximum savings from reduced energy immediately and then think about automatic off switch for our lights. These automatic switches would be more for convenience than anything else since I have already gained most of the savings from converting to LED lights. In fact the difference in energy use for LED’s may in fact preclude spending money on these sophisticated auto switches. You really have to do a small business case to assess the cost vs. savings before you spend any money on automation.